Finding great Belgian style beer in British Columbia might be unexpected. But that's exactly what's on tap at Dageraad Brewing. The word Dageraad is Flemish for "daybreak" and draws on Belgian influences for the beer, and Art Nouveau for the beautiful packaging. 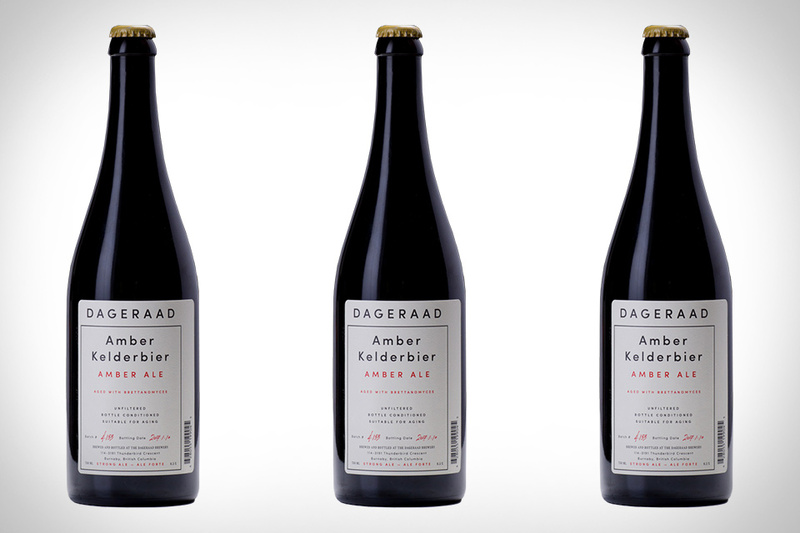 The Amber Kelderbier is one of several brews from Dageraad worth your attention, bottle-conditioned using Brettanomyces. It's another example of how Dageraad is helping to move British Columbia's beer culture forward. While American craft beer continues to grow by leaps and bounds, it's seeing a big boost north of the border as well. Driftwood Beer in Victoria, British Columbia is a great example, and their Farmhouse Saison might be your best point of entry. Made for warm weather days, their interpretation of a farmhouse ale uses a long-grain bill and freshly-ground black pepper. They also use Ardennes yeast from Belgium to bring about the banana and clove flavors familiar to Saison fans. Craft beer cans have become as much a work of art as the beer itself. And one of the breweries that appreciate this the most is Pure Project Brewing in San Diego, California. One recent example is Knot Murky; a West Coast IPA brewed in collaboration with another left coast brewer, Beachwood Brewing. The IPA is brewed with Ekuanot, Mosaic, and Loral hops and hits all the classic, clean, West coast style notes you'd expect. It's packaged in these appealing 16oz cans that feature a detailed wood grain pattern that looks realistic enough to feel. To kick off their Living Barrel Series, Funky Buddha Brewery in Florida is taking on the flavor profile of a classic summer cocktail. Piña Colada Ale starts out as an imperial cream ale made with real pineapple and coconut before being aged for months in Jamaican rum casks. It's then bottled at 10.8% ABV and hits all the right flavorful notes that you'd want from a Piña Colada but in the form of 22oz of beer. If you're paying attention, you know that hazy IPAs are the hottest trend in beer right now. And while plenty of breweries are trying to emulate the pioneers of the style, only a handful are hitting the nail on the head. Add Fieldwork Brewing to that list with Hazy Train IPA, packing citrus aromas and a pale, hazy appearance. Hazy Train takes some of the hop bite out of your drinking experience, replacing it with a smooth, velvety, fruit-forward mouthfeel and taste. There are instances where you should judge a beer by its cover, or packaging. That's certainly the case with Sun Juice from Stony Creek Beer. The eye-catching bottle design is enough to pick it up, but it's also worth your time after the cap is discarded. Sun Juice is a Belgian Summer Ale that is brewed with wheat and Saison yeast. The name and taste match up with the summer season, evidenced by the amount of tropical fruit aromas and flavors in each bottle. We trust the guys at Stone with IPAs and are rarely disappointed when a new one is released. Brewed with coriander, grains of paradise, and blended with citrus, Stone Ghost Hammer IPA is named after the noises the pipes in the cellar make as the brewing team works overnight. It arrives in this ghostly can at 6.7% ABV and is certain to be the next big hit in a long line of hop bombs from a legendary brewery.